SUPERAntiSpyware Professional 8.0 will detect and remove thousands of Spyware, Adware, Malware, Trojans, KeyLoggers, Dialers, Hi-Jackers, and Worms. It features many unique and powerful technologies. Moreover, it removes spyware threats that other applications fail to remove. Also includes a Repair feature. That allows you to restore various settings which are often changed by malware programs, but usually not corrected by simply removing the parasite. First Chance Prevention examines over 50 critical points of your system each time your system starts up and shuts down. In this way, it eliminates threats before they have a chance to infect and infiltrate your system. Process Interrogation Technology detects threats no matter where they are hiding on your system. Features a more efficient and effective scanning engine that helps detect threats other products may not see on your system! Light. Powerful. Effective. FAST. An all new scanning engine provides fast scanning and detects even the most stubborn threats! All New Interface provides easy access to all important tools and features while presenting itself in an easy-to-use layout! Enhanced Real-Time Protection helps detect threats before they enter your system – so light on system resources you won’t know it’s running! Smaller/Faster Definition Updates reduce the load on your system while updates are being downloaded and applied! Power Scheduling of definition updates, quick, complete and custom scans. It uses the Windows Task Scheduler for maximum flexibility! Faster scan speeds, smaller footprint, enhanced program stability, and an expanded Help Menu to improve ease of use. Updated Look and Feel – Updated visuals and design that creates a cohesive experience with the updated website. Alerts When Programs are Added to Start Up – Notifies users when new programs have been added to Windows startup locations or load points. Scan For Hijacked Shortcuts – Warns users of a hijacked browser shortcut from the desktop. Repair Tools – Enables users to restore PC system and configuration settings that have been damaged from malware. 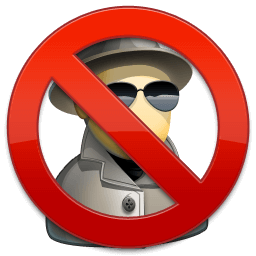 Do Not Disturb PC Mode – Allows users to turn off SAS notifications when playing a game or watching a movie.